The Ciena 3911 service delivery switch provides next-generation support for your Ethernet networks through advanced access system controls. Give your network a cost-effective way to deliver a wide range of Ethernet services on existing fiber and copper connections. 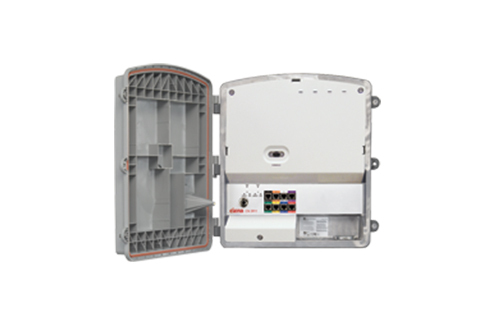 Today, Ciena CN 3911 models can support business, residential and transport Ethernet securely thanks to a hardened enclosure designed to work in outdoor locations as well as non-climate-controlled indoor environments. Build your network with the reliability and power you need without having to run new enclosures, enhance racks or upgrade building infrastructure. The system comes as part of a “system-in-a-box” design that provides a single solution for switching modules, fiber management, interface connectors, UPS power system and voice modules. Flexible power options allow you to integrate the Ciena CN 3911 wherever your network is in need. Worldwide Supply continues to offer and support refurbished Ciena CN 3911 models because they deliver significant capacity Ethernet at low costs, ensuring optimal reliability, management and quality of service akin to SONET/SDH networking deployments. When you choose a used Ciena CN 3911, you can expect next-gen GbE service support including wireless backhaul. The system supports 8 GbE 10/100/1000 BaseTX subscriber UNI ports and other pluggable connections with its modular service support and operating system. Add advanced Ethernet switching and control as well as VLAN features to your network with an affordable refurbished Ciena CN 3911. Build out your ability to offer Ethernet private line and private LAN as well as their virtual counterparts, all of which conform to MEF9 and MEF14. Support your network with a powerhouse for Ethernet support.